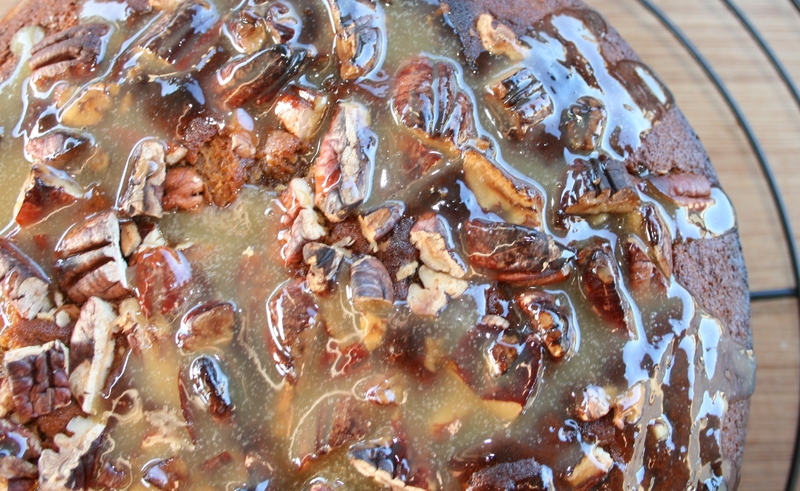 For me, one of the best flavour combinations in baking are dates and caramel. On its own dates don’t really get my heart racing but chopped up and paired with brown sugar and butter it simply oozes rich caramel indulgence. And the smell of a sticky date pudding baking in the oven is on par with the smell of freshly brewed coffee wafting through the house. Very few things can beat it. The smell is totally intoxicating, and the 40 minutes baking time almost seems too cruel. But if you have your caramel ready, the reward is instant. 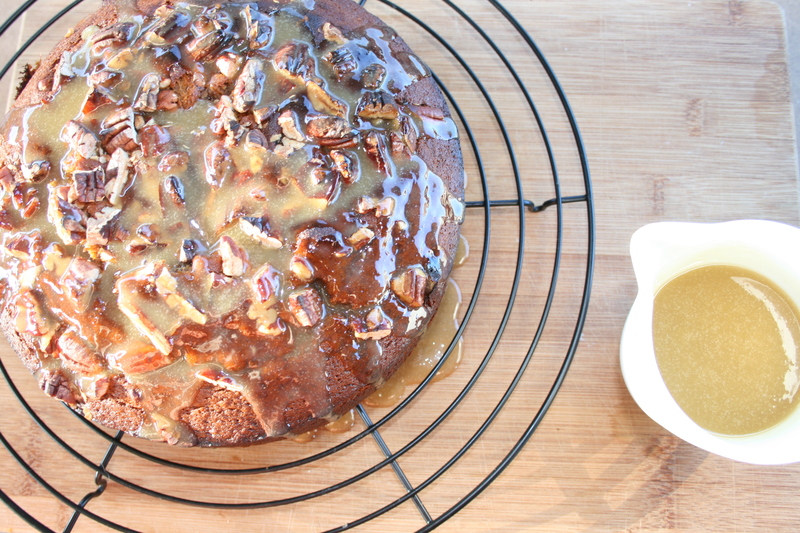 It can be enjoyed straight out of the oven with the gooey caramel poured all over. For an even more indulgent dessert, a scoop or two of vanilla bean ice-cream will take it to yet another level, if at all possible. And it keeps beautifully, in fact I have found the rich caramel taste intensifies the longer it is kept at room temperature (in saying that, it normally doesn’t last long enough in our house for said flavours to intensify). Then if all of that is not rewarding enough, to prepare, you simply need to throw all of the ingredients into your food processor blitz it for a few minutes and pour into a cake pan. The hardest part of the recipe is roughly chopping the dates before they are soaked in boiling water. Note: if you do not have a food processor I would expect (although I have not tried this myself) that the recipe will still work by adding all the ingredients together as per the recipe and mixing it with a hand mixer or even a whisk for two or three minutes until everything is very well combined. The only issue will be that your dates will not be pureed as such, so you would have to chop them as finely as desired before going into the boiling water. Preheat your oven to 180°C and grease a 22cm round cake pan (you could use a square cake pan too). Combine the roughly chopped dates and boiling water and stir in the baking soda (it will make a fizzing sound when the baking soda goes in). Let the dates soak for about 5 minutes until softned. Pour the date mixture into your food processor adding the butter, vanilla extract and sugar and process until well pureed. Add the eggs and self-raising flour and process until all the ingredients are well combined, for approximately two minutes. Pour the whole mixture into the prepared cak pan, and if you are adding the nuts, sprinkle them over the batter. (When I am using nuts, I find they tend to start scorcing a bit towards the end of the cooking time so I cover the cake with foil for the last quarter hour or so while baking). Bake for 50 minutes and test by inserting a skewer in the middle of the cake. If the skewer does not come out clean put it back into the oven for another 5-10 minutes testing it again. When the cake is properly bake through, the skewer should come out clean. Let it stand for as long as you can bare, no longer than 10 minutes then turn it out onto a cooling rack and slowly pour about half of the caramel sauce over the cake and keep the rest of the sacue for serving. Caramel sauce: Combine all the ingredients in a saucepan over medium heat and stir until the sugar has dissolved. Let it simmer for about three minutes, stirring all the while. Take off the heat and have ready for when the cake comes out of the oven.